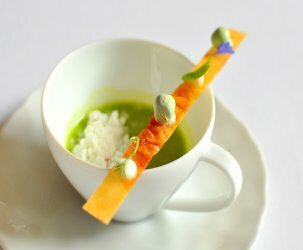 For those who haven’t been following along intently on the #Foodies2Aria tour, let me catch you up quickly. After arriving in Vegas, we supped on uni risotto and white truffled fishes at BarMasa. Day two started early at Jean Georges Steakhouse, where tomahawk chops and roasted bone marrow graced the table. Next, we traveled down the hall to American Fish by Michael Mina, where we were served a suite of dishes prepared using the restaurant’s four signature techniques. 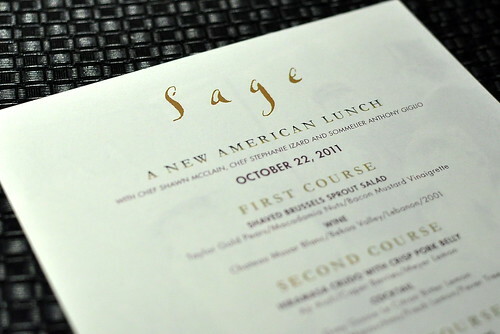 For our third meal of the day, we walked downstairs to Sage for “A New American Lunch” hosted by Chef Shawn McClain and Top Chef season 4 winner Chef Stephanie Izard. 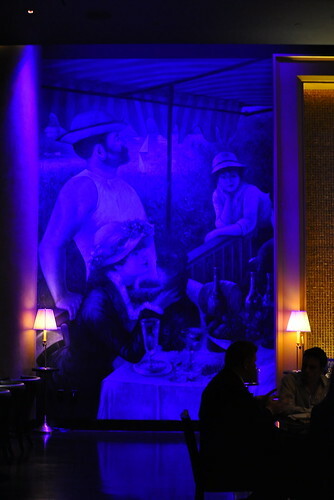 This event was part of the Food & Wine All-Star Weekend. I wasn’t sure I’d be up for a six-course lunch after such a hearty breakfast, but thankfully my appetite was game for more as soon as I sat down. Prior to the first course arriving, both chefs stood in front of the packed dining room to welcome the crowd and to chat a bit about the food. 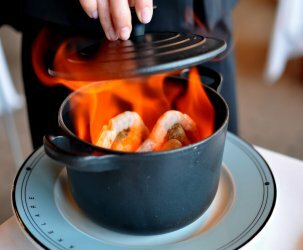 Chef McClain explained that the first and fourth dishes belonged to him, while the second and third were Chef Izard’s. The cheese course and dessert were anyone’s guess. Chef McClain started us off with a shaved Brussels sprout salad with Taylor Gold pears, macadamia nuts, and a bacon mustard vinaigrette. 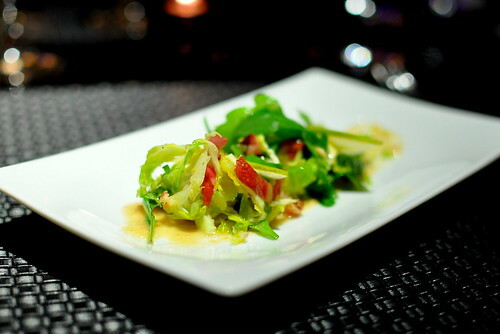 The smoky and tangy dressing played nicely with the sweet pears and snappy sprouts. Chef Izard’s hiramasa crudo was my favorite course of the afternoon. She has a thing for pairing seafood with land animals, and in this situation, she married fish with crisp pork belly. 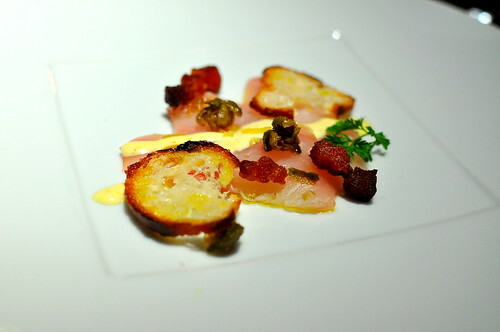 Caper berries and Meyer lemon brightened up the plate, while an aji aioli tied everything together. Chef Izard’s second course of seared diver scallops was strong as well. 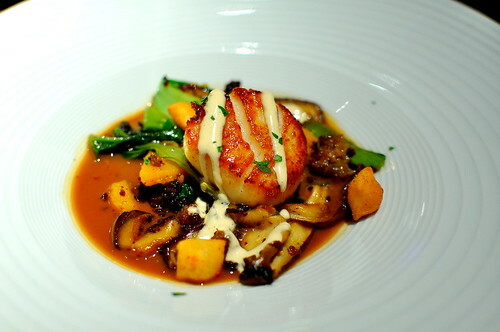 The scallops rested in a pool of housemade smoked goat XO sauce with winter squash and shitake mushrooms. This dish captured the coziness and comforts of fall on a plate. 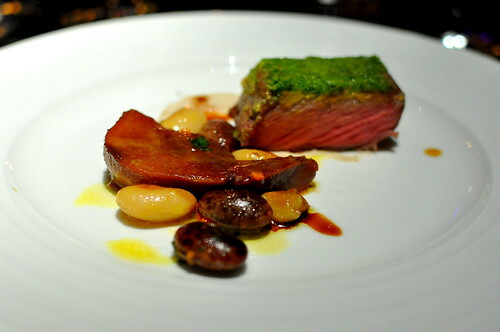 The final savory course was Chef McClain’s herb-crusted lamb saddle with braised lamb tongue, warm butter beans, and a Banyuls vinaigrette. While my dining companions embraced the saddle, I was digging the tongue, my first from a lamb. 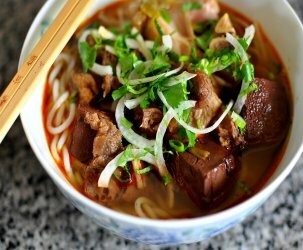 The tongue’s texture was tenderer than expected, while the flavor had a deep mustiness not unlike chicken livers. 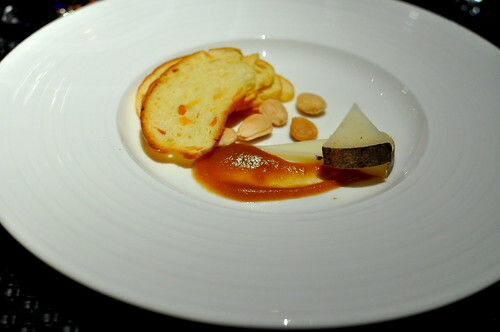 Cheese courses are often lost on me, especially after eating so much food prior, but this one piqued my taste buds due to the smoked apple sauce and marcona almonds served on the side. The firm sheep’s milk garrotxa was palatable but not memorable. 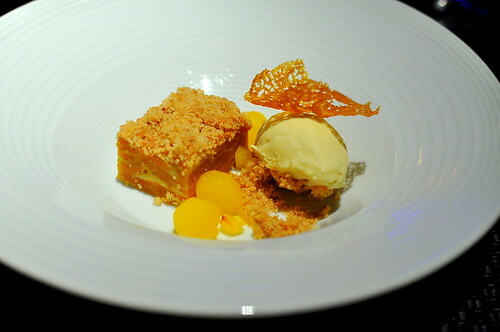 And last but not least, a kabocha squash cake with saffron-infused pears and burnt honey ice cream. The pears were easily the highlight of the plate. Or maybe I was just too stuffed to eat anything but fruit. Note to self: Make reservations at Girl and the Goat when you next visit Chicago. Stephanie Izard rocks the stoves.